We’re constantly on the lookout for the newest, emerging Cockroach Pest Control Products and Services. Why not sign up here and be notified as when we’ve updated our offerings? You can use this handy form to the right. We believe in informing the customer and allowing them to make an informed decision. This information is by no means exhaustive. If you have any cockroach questions that you don’t see covered here please feel free to use our handy form or give us a call. German Cockroach: Adults 9/16 inch long, with well-developed wings (but they seldom fly). Prefers hot (85-95(F), humid places, e.g. in kitchens, near stoves, dishwashers and sinks. Brown-banded Cockroach: Adults about 1/2 inch long; will fly when disturbed. Prefers warm (over 80(F), dry, high-level places, e.g. wall cabinets, behind pictures and inside television sets and wall clocks. 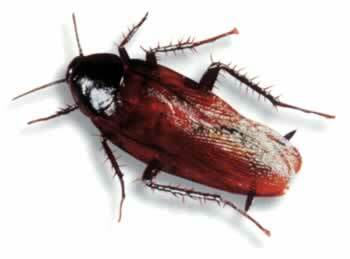 American Cockroach: Adults 1 1/2 inches long, with large wings which they use for flying or gliding in warm locations. Prefers hot (85-95(F), humid places, living outdoors in decaying vegetation in the South and Southeast, but also occupying sewers and invading homes, especially basements and garbage areas. Smokybrown Cockroach: Adults 1 1/4 inches long, with large wings-an excellent flyer. Prefers hot (85-95(F), sheltered humid places, living outdoors (especially in tree holes) in the South and Southeast but commonly invading homes, often via the eaves. Oriental Cockroach: Adults about 1 inch long, wings present but small and functionless in males and absent in females. Prefers temperate (70-80(F), low-level, damp places, especially sewers, drains, basements and mulched flowerbeds. Several other species of cockroaches are regionally important and will be known to professional pest control operators. What Can You Do Against Cockroaches? Cockroaches need food, water and hiding places in order to survive, and if you can reduce the availability of these factors you will discourage them and make them more vulnerable to other measures aimed at killing them. 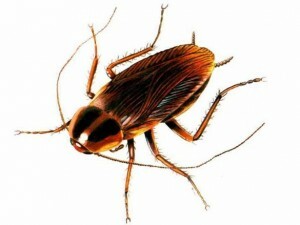 However, it is important to recognize that while good sanitation can make it harder for cockroaches to thrive, sanitation measures alone will not eliminate a well-established cockroach infestation – only pesticides can do that. But remember that cockroaches have developed resistance to many over-the-counter pesticides. Even worse, some over-the-counter pesticides are highly repellent and can actually make an infestation worse by scattering cockroaches to new areas. Proper selection and use of pesticides is best left to professionals. But here are 10 specific non-chemical measures you can carry out that will complement pesticide applications, perhaps improving the results from pesticides and reducing the amount of pesticide needed. 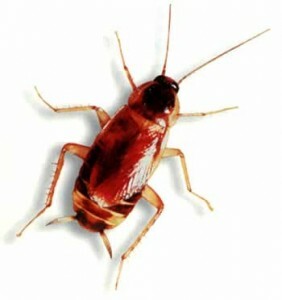 Where cockroaches are common outdoors, trim overhanging trees and remove foundation plantings or wall climbing vegetation to discourage invasion (this is especially useful in the South and Southeast). Screen doors, windows and attic vents, and seal foundation cracks and around utilities, to discourage entry of outdoor-living cockroaches, Also, windows and doors, especially, garage doors, should be closed when not in use. Check incoming provisions, especially groceries, drink cartons and firewood, for “hitch-hiking” cockroaches. Inspect your luggage and handbags when returning from buildings likely to be infested, such as some hotels or hospitals. Don’t leave food and drink, for people or pets, exposed overnight. Put it in the refrigerator or tightly fitting containers. Regularly clean up food scraps and keep garbage in closed containers to make it harder for cockroaches to find food. Eliminate plumbing leaks, dripping faucets and condensation problems to discourage most types of cockroaches. Repair grouting in tiles to facilitate cleaning and to prevent cockroaches hiding in tiling. Seal crevices along baseboards or work surfaces and around pipe runs and electrical outlets and conduits, to reduce cockroach hiding places and routes for cockroach dispersal. Get rid of old grocery bags, cardboard boxes, and other clutter that provide hiding places for cockroaches and makes cleaning, inspection and pesticide application difficult. Cockroaches are the No. 1 indoor pest in most countries of the world and can infest even the cleanest buildings. Cockroaches originated more than 100 million years before dinosaurs, and have now occupied our planet for more than 300 million years. Cockroaches can become established wherever people live, travel or work, including homes, hotels, hospitals, restaurants, and even on ships, trains and aircraft. Cockroaches carry numerous disease organisms, including bacteria, viruses and fungi, which they can pick up in drains, sewers, etc. and transfer to human food and utensils. About 5 million Americans are allergic to cockroaches, and exposure to environments contaminated by cockroaches is a significant cause of asthma. Cockroaches cause serious economic losses by eating, staining or tainting our possessions. They can even wreck computers and other electronic equipment by causing short circuits. Cockroaches can survive by eating almost anything, from meat to paper, and by drinking anything from beer to human urine. 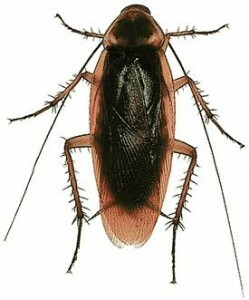 Cockroach infestations often go unnoticed, and are hard for untrained personnel to deal with, because cockroaches are mostly nocturnal and spend 75% of their time hiding. Cockroaches can produce thousands of offspring within a year, and a single building may ultimately contain more cockroaches than the population of people in a large city. Some populations of cockroaches have developed resistance to many of the pesticides sold over-the-counter to homeowners. If you’re interested in the Cockroach Pest Control Service offered by Termite Terry please feel free to call us at 949-631-7348 in order to set up an appointment or use our Online Order Form and we’ll get back to you as soon as possible.